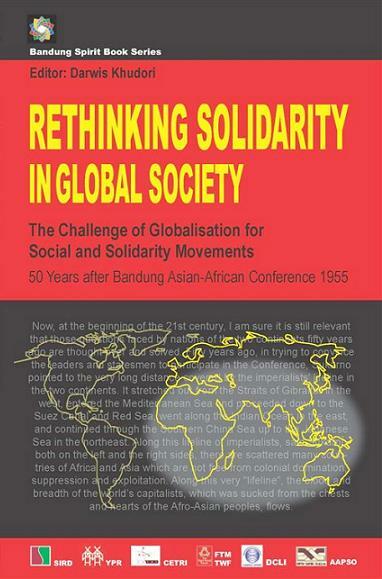 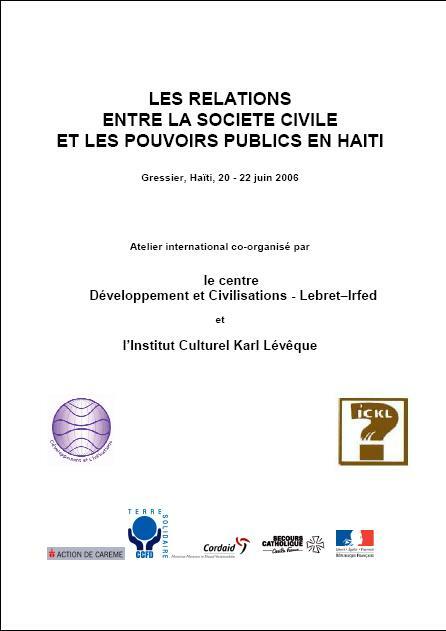 Rethinking solidarity in global society, 50 Years after Bandung Asian-Africain Conference 1955 - SIRD, Malaisie, 2007, 202 P.
Relationships between civil society and public authorities in Haiti : Gressier (Haïti), 20-22 juin 2006 - Centre Lebret-Irfed et l’Institut Culturel Karl Lévêque, Paris, 2006, 40 p.
See also : article and on line version. 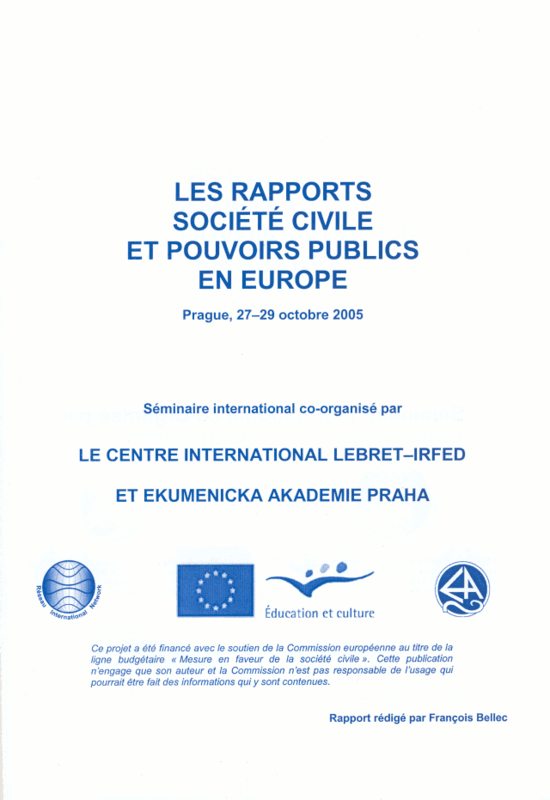 Relationships between civil society and public authorities in Europe : Prague, 27-29 October 2005 - Centre international Lebret-Irfed, Ekumenicka Akademie Praha, Paris, 2005, 38 p.
Centre Louis-Joseph Lebret - Globalisation and local initiatives - Karthala, Paris, 2004, 198 P.
Spiritualities and Identities in the Dialogue of Civilisations - AREDS, L.J. 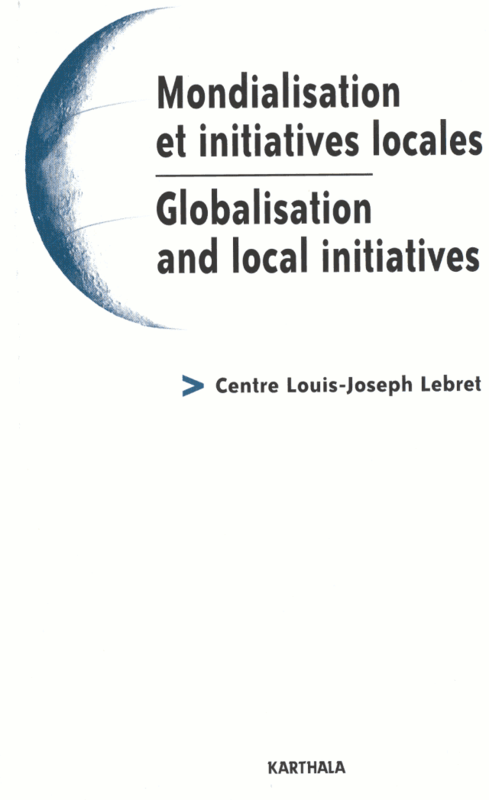 Lebret center-IRFED, BRES, Paris, 2004/01, 35 P.
Civil society, local development and globalization : the case of LCDs - Seminar co-organised by Centre Lebret, UNCTAD and ILO Addis-Ababa, 28-30 October 2001 - Centre L.-J. 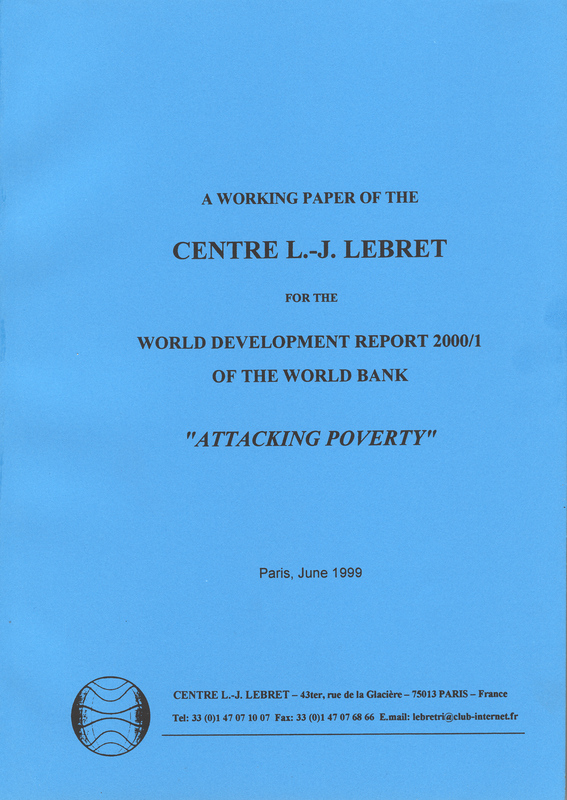 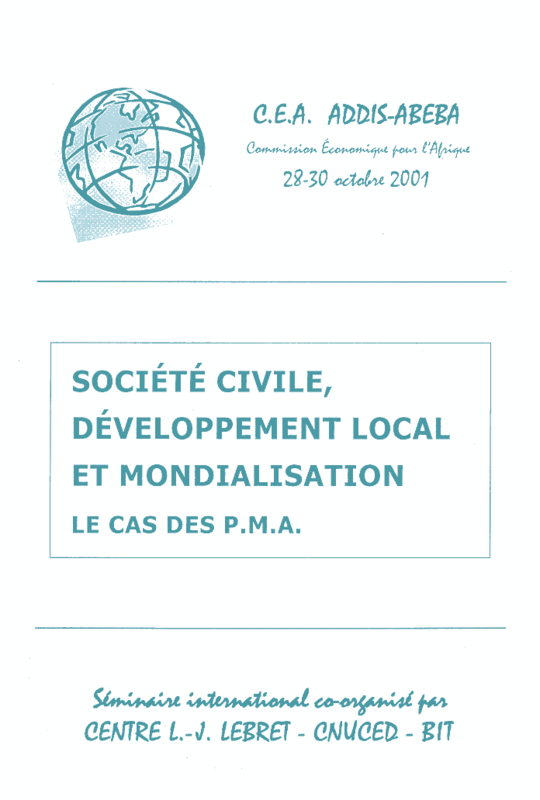 Lebret, CNUCED, BIT, Paris, 2001/10, 52 P.
Attacking poverty : a working paper of the Centre Lebret for the World Development Report 200-2001 of the World Bank- Centre Lebret, Paris, 1999/06, 64 P.